We offer a complete package of health care and advice for small animals. We welcome pets of all shapes and sizes including guinea pigs, rabbits, cats and dogs. Find out more about this service here! Rosemary Cowper has a long standing interest in behavioural therapy and consultations can be booked with her to discuss all aspects of problem behaviour, from cats spraying in the house to aggressive dogs and firework phobias. 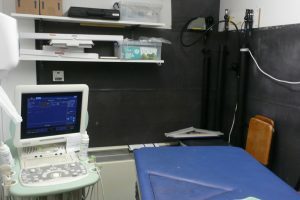 We have a very advanced Colour Doppler Flow Ultrasound scanner, plus an ECG, blood pressure monitor and on site laboratory that allows us to investigate cardiac diseases thoroughly. One of our partners, Ruth Jackson, has a special interest in this area. Bishop’s Stortford Veterinary Hospital offers a full, on-site, out of hours service. Please call us on 01279 654108 to listen to a recorded message explaining how to contact the duty vet. Many over the counter flea products are not highly effective at controlling fleas. We ensure all our flea products are a minimum of 95% effective and will dispense them as rapidly as we can to you. We strongly recommend that you microchip your pets, especially cats that go outside. It is a simple procedure to implant the chip and can be done in a consultation without anaesthetic. For kittens that remain indoors until after neutering we recommend that a micorchip is implanted at the same time as their neutering. 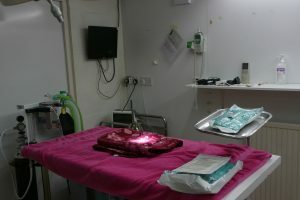 Puppies must be microchipped and recorded by the time they are eight weeks old and before they are sold by the breeder. Alison Somers has a postgraduate RCVS Certificate in Veterinary Ophthalmology plus we have additional specialised equipment including a slit lamp, operating microscope and tonometer. This allows us to offer you a very high level of expertise in this area. All the puppies we vaccinate are offered the chance to attend our Puppy Party evenings, free of charge. These are a great way to introduce your dog to the surgery in a fun environment, and they get to socialise with puppies their own age, which is an important part of behavioural development. You will get a tour of the practice plus loads of advice on feeding, worming, behaviour etc and a take home goodie bag! 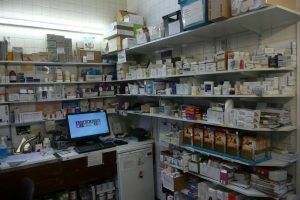 We offer next working day service on all our prescriptions (baring supply problems) and you can either phone reception or email uswith your name, your pet’s name, detailed requirements of what you need and a contact number should there be a problem. It is a legal requirement that animals dispensed prescription only medications are under the care of a veterinary surgeon. 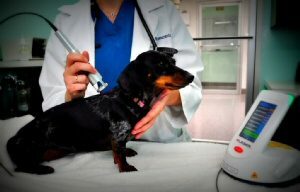 This means a regular physical exam, the frequency of which depends on the condition but must be at least every 6 months and is for the safety of your pet so that our vets can check there are no side effects developing. You will be asked to make an appointment if your pet is due a check over. The Senior Health Clinics are run by our Advanced Pet Health Counsellor Carola Leman and we provide 3 levels – Bronze, Silver and Gold. We treat all domestic pets from dogs and cats to guinea pigs and iguanas. We also treat any wildlife casualties brought to us. We are lucky to have an excellent range of surgical equipment including surgical saws, air driven drills, electrocautery, a range of ASIF and external fixator kits for broken bones, surgical suction and extensive anaesthetic monitoring equipment. Laser Therapy, or “photobiomodulation”, is the use of specific wavelengths of light (red and near-infrared) to create therapeutic effects. These effects include improved healing time, pain reduction, increased circulation and decreased swelling. Laser Therapy has been utilized by physical therapists, nurses and doctors as far back as the 1970’s, however technical advances in laser miniaturisation and durability pioneered by K-Laser have allowed laser therapy to be used for a wider range of patients. All vaccinations are performed by a fully qualified veterinary surgeon and your pet is given a full 12 point health check for their safety prior to administration. We firmly believe that your pets should be covered from youth all the way through to old age and will send you a yearly reminder. Leptospirosis in dogs is a particular problem in this area and needs to be boostered every year. Rosalind Bath and Carola Leman are Advanced Pet Health Counsellors, who are in charge of our Weight Clinics. The clinics are free of charge and will help guide you through getting your pet to lose weight. We recommend that all pets be wormed regularly. The frequency will vary depending on your pets’ lifestyle and exposure, why not ask your vet or ask at reception for our free advice leaflet.